If you’re looking for new ways to enrich your cat’s life, start with these six books on training cats. 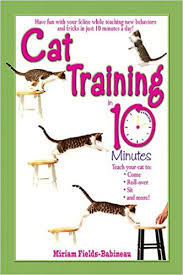 Cat Training in 10 Minutes by Miriam Fields-Babineau is the first book I encountered on training cats. 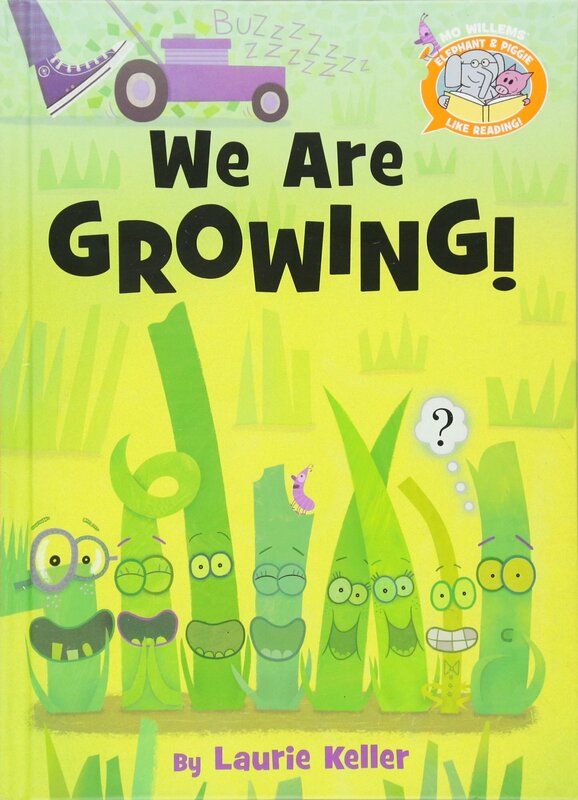 The majority of the chapters are dedicated to teaching obedience, start with an overview and then include clear steps for the lesson to be taught. For example, in talking about sit, Babineau explains that sit is a base behavior for many more complicated behaviors. Because cats also have an inherent inclination to rest on their haunches, sit is also a quick command to teach. Second, a reason the guide engaged my cats and I is that Babineau also provides a numerous variations for each obedience procedure. For example, in talking about jump, Babineau suggests one teach to jump onto various surfaces and those of varying heights. 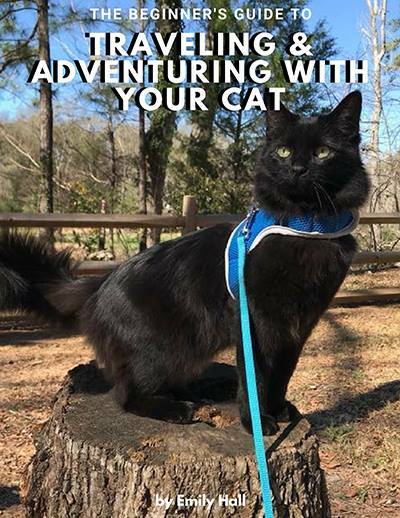 Following the multiple chapters on obedience, there is a hodge-podge of chapters that includes information on tricks, misbehavior, and other ways to work with one’s cat such as therapy and shows. The most life-changing chapters for me were those on obedience and trick.s Using the step-by-step procedures, I’ve successfully taught my cats sit, jump, twirl, stay, down, and kiss. We’re still working on come and fetch. Miriam Fields-Babineau has been a professional animal trainer since 1983 and has taught pet owners how to work with and understand pets of all species. In Cat Training in Ten Minutes, she draws on all this expertise to show how anyone can find the time to enrich the lives of their cats. 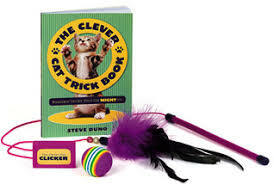 The Clever Cat Trick Book by Steve Duno is an easy-to-read book that covers a lot of tricks. Cat owners will learn how to teach their cat to chase, sit, spin, shake, kiss, come, beg, down, fetch, and over. For many of the tricks such as sit and spin, cat owners simply have to reward their cat for doing what comes naturally to cats for the tricks to become part of their cat’s repertoire. Other tricks such as shake and kiss might depend on the cat having an outgoing personality, as the cat will need to accept being touched. Some of the tricks will prove more difficult but Duno offers ideas for simplifying them. For example, he recognizes that teaching the trick down will require a cat to take a submissive position, and so suggests teaching it on a table where cats will feel less threatened. In addition, he notes that teaching a cat the first part of fetch is relatively easy, but the retrieve part will require a cat to know how to come when called. Duno is a veteran pet behaviorist and his knowledge shines not just when he’s teaching readers how to do tricks, but also when he’s explaining why cats need the stimulation of tricks and how to account for individual needs based on breed, age, health, gender, and background. Novices to training will love this book. 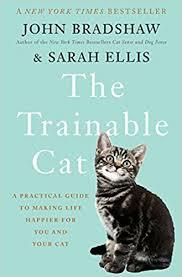 In the book The Trainable Cat, authors John Bradshaw and Sarah Ellis discuss not only how cats should be trained but why cats need to be trained. I applaud the book’s structure. The authors first present key skills. Then as new training skills are introduced, they refer back to those key skills. In this way, the content builds on itself, and complex training tasks can be understood as edible chunks. Thanks to The Trainable Cat, I’ve started to develop a whole new training mindset. I’m beginning to generalize my training efforts to include behaviors that my cats need. For example, when Andy and I bring home new purchases, I place them where our cats might discover them but I also allow them the freedom to discover these purchases on their own cognizance. If our cats indicate a dislike or fear of something, such as small spaces or loud noises, I help them gradually bring up their confidence. Or if our cats act in a displeasing way, such as growling over and stealing food, I teach them to wait. 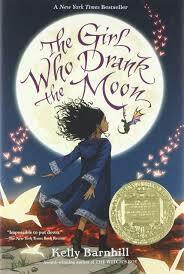 At three-hundred pages, with minimal illustrations, The Trainable Cat can feel overwhelming if one is starting out. Even so, I highly recommend that all cat owners take the time to read, study, and apply The Trainable Cat ideas. It’ll positively change your relationship with your feline companions. 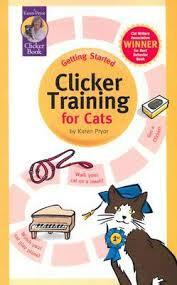 Clicker Training for Cats by Karen Pryor is a classic by the founder of the clicker training system. In the first chapter, Pryor overviews the reasons for training a cat, what clicker training is, and how to do it. She also provides alternatives to using a clicker and/or treats. 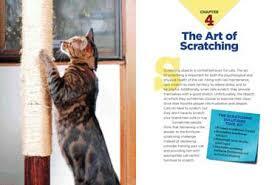 The subsequent two chapters are divided into useful and fun behaviors cat owners can teach their cat with a clicker. One useful behavior that we’re working in our household is an alternative to begging during food preparation. So far, I’ve taught our youngest cat to sit on a stool to wait for her meal. Next, I need to work on having her wait on the stool while I work in the kitchen. One fun behavior we’re working on is building a repertoire of tricks to perform in succession, instead of repeating the same trick over and over. In the fourth and last chapter, Pryor address problem behaviors, for which a program of positive reinforcement can make a difference. She covers litterbox issues, aggression, biting, ambushing, scratching, yowling, fighting, getting stuck in trees, to name a few. The one we’re working on is counter-surfing, and it remains a work-in-progress. Although I’ve read Pryor’s book more than once, I’m still learning new skills from it. What do elephants, killer whales, and the family pet have in common? Training with zoomility! Or so says Grey Stafford, who contends that training animals is as much about having fun as it is about helping them succeed in our world. Zoomility is divided into two parts. The first part is intended for anyone who is starting to train a new or young animal or “clean slate” animals that haven’t yet learned undesirable behaviors. 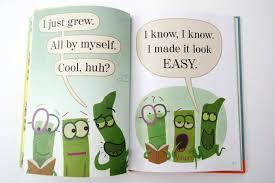 Stafford spends forty pages covering his philosophy of positive reinforcement, and then another forty applying it to common behaviors. Some of those behaviors fall under obedience training such as sit, stay, come; other behaviors are practical such as crate training, leash training, and visits to the vet; and some are just for fun such as jump, balance, and fetch. The second part is intended for anyone who works with animals and has already made mistakes with them or for anyone who is starting to train an animal with an unknown or unpleasant history. Stafford focuses mostly on those animals with aggressive and destructive behaviors and so, while you might find ideas on how to work with bullies, you’ll need other resources for working with the shyer animals. Stafford adds lightness by beginning each chapter with a personal tale of his experience as a zookeeper, but his writing style relies heavily on training language, and so this book is most-suited for those immersed in the training world. Naughty No More by Marilyn Kreiger is my newest purchase. In the first chapter, Kreiger defines clicker-training, explains how to use it, and shares its benefits. In doing so, she explains two terms relatively new to me: Shaping is act of breaking down a complex behavior into tiny steps and then rewarding the cat for each correct movement that gets the cat closer to the goal behavior; Luring is the act of tempting a cat to perform an action by offering some form of reward. The next seven chapters address problem behaviors: counter surfing, door darting, scratching, matchmaking, aggression, vet visits, and litter box issues. Some of these behaviors I’ve encountered prior to purchasing this book, such as how to deal with counter surfers and so have already read about. Kreiger overviews ineffective aversive methods, potential persuasive methods, and the effective positive reinforcement methods. 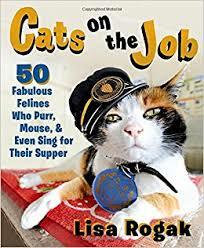 The chapter is readable but also thorough, in that she explains the various reasons cats might surf and how to individually train cats to meet their unique needs. Some behaviors I’m just now encountering as a foster parent such as door darting and so need all the ideas I can find. Providing toys, puzzle feeders, and scheduled interaction time were a few options Kreiger suggested, in addition to using a clicker to train dashers to sit. The final chapter covers tricks, all of which could use a chapter in themselves, and so serve simply as an introduction. 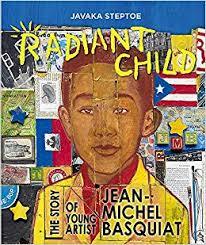 Kreiger’s book is colorful, uses an abundance of side bars, and includes several case histories. I recommend it for cat owners of all levels. Men with Cats: Intimate Portraits of Feline Friendship is a fun collection of photos and stories by David Williams that breaks the stereotype that only crazy ladies care for cats. 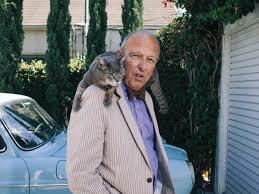 Williams himself is a freelance photographer who lives in New York with his wife and their two cats. 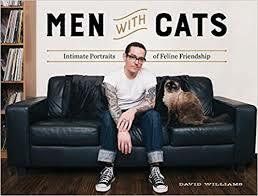 Men With Cats: Intimate Portraits of Feline Friendship was recognized as a New York Times Best seller shortly after its release in 2016. Each two-page spread of this 140-page delightful photo book consists of a professional photo, identification of the male cat owner and his cat companion(s), and a quote that highlights the feline friendship. How each met differs: A mother cat followed Louis home; A burned cat slated for euthanasia was rescued by Al; Cats abandoned at an auto shop catch Alex’s attention. How the bond developed is unique: Brent loves how his cat jumps on his chest, kneads his paws in his beard, and licks his face; Reuben appreciates how relaxed his cat is and tries to emulate that lifestyle; Dennis admires the array of sounds his cat will use to communicate, with his favorite being a chirrup that acknowledges his presence. The way the men describe the friendship devotion varies: Benn refers to his relationship with his cat at being like an old married couple; Brian jokes that his cat is a dog except evil instead; Dustin shares that when he and his cat make eye contact there is a deep inner connection. Photo books are not my typical fare. I’m more of an information sort of reader. One of my favorite parts of Men with Cats: Intimate Portraits of Feline Friendship is the section labeled “What is the hardest part of cat ownership?” I wanted to see several other spreads like this. But I must admit that a couple rereads of Men with Cats: Intimate Portraits of Feline Friendship revealed more than I expected about living with cats. Williams started this photography project back in 2009 not only to shuns stereotypes, but also to celebrate feline friendship. 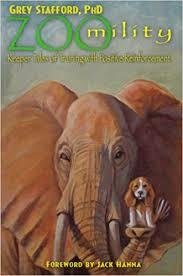 In his preface, he expressed the hope that his book would inspire readers to rescue and adopt pets or donate time and resources to animal welfare groups. Men with Cats: Intimate Portraits of Feline Friendship certainly increased my appreciation for the quirky and intense bonds that can exist between men and their cats.